"The Joy Of A Puppy - The Fun Of An Adult Dog!" Adopting A Dog Puppy or Adult. "The choice is yours - both are a great idea. Which one is for you!" Adopting a dog is an exciting event. Truly a man's best friend, you can rely on your pet to give you company, companionship and some can even guard your house. It is a major decision whether or not you choose to have a puppy or an adult as a pet. Before deciding on which dog to adopt, here is some useful information that might help you decide. Bringing up a puppy is an advantage because this means that you guide its growth and well being. You have the chance to raise it according to what you want. This means you can ensure that it is properly nurtured with the right dog food, ensure that necessary vaccinations are given and prevent heartworm at this early stage. Having your puppy personally trained is also a plus since you can teach him exactly what you want. You should adopt a puppy when it is at least 10 weeks old. Puppies need a lot of time to be cared for by their mothers. This is a crucial stage for them. They somehow gain a psychological advantage for both puppy and for the mother dog as well. A puppy can easily adjust to new surroundings as compared to an adult dog even though most puppies may cause minimal to major damage to your personal stuff while they are in the stage of teething. They need to be housebroken and house training needs a lot of time, effort and patience from the owner. 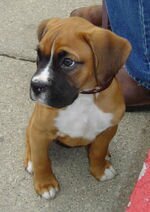 There is no assurance of what a puppy will look like when it grows up; especially it is a mixed breed. Also, his temperament might change too when he grows up. Most dog owners love how puppies can be entertaining for the entire family. They are very cute and adorable pets that is a hit for both children and grown ups. Puppies can be easily regarded as one of the family. You would have less of a fuss taking care of an adult dog. They already have this established behavior that you can easily adapt too. By being with the dog more often, you would have more or less an idea of what its temperament is. You need to get as much information as you can when adopting an adult dog. Take note of its habits and mood swings. Hopefully you can acquire this valuable data from the previous owners of the dog. Some adult dogs may have some behavior issues. It is important to take note of them. It may take some time and effort for an adult dog to be completely comfortable with a new owner. You need to introduce an adult dog to your children and other household members before bringing him into the home. This would help the dog be familiar with them and helps them refrain from biting or barking thinking that they maybe strangers. Adopting a dog puppy or adult - Is there a difference? Adult dog may not need your full attention unlike puppies need and would require lesser trips to the vet. For a fully grown dog physique and behavior is basically not a variable anymore. What you see is basically what you get. Most dogs are housebroken already so they would cause lesser damage to your belongings and donâ€™t wake up at night like most puppies do. They have usually overgrown the impulse of chewing things that strike his fancy. An older dog can easily adapt to other pets, like other dogs or cats, if you have a group of them at your household. Adopting a dog is not an easy task and choosing which one to adopt can be a little tricky too. Everyone loves sweet looking puppies, but not everyone can stand up to the tiresome house training although most appreciate the bonding shared with them. Adult dogs need no great amount of guidance but can still turn out to be a lovable pet. Whichever you think is the right pet for you, just keep in mind that taking care of them needs a lot of time and effort. In return, they would always keep you company and has ready smile with an excited wag of tail waiting for you everyday. Always make sure you do not get too excited when you are looking at which dog (or puppy) to adopt. It is much to easy to let your heart take over. The truth is, you are doing the dog and yourself an injustice. 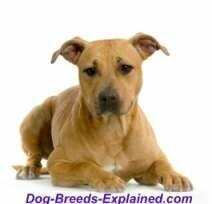 Pick the right dog breed for you. Adopt a puppy because you feel it is right for the whole family, including the dog. You are going to be sharing a lot of great moments - the right dog will make it better! Adopting A Dog Puppy or Adult is a great way to add a pet to your life. There are too many bad owners who do not deserve the love of a dog. If you can offer a good home to an adopted dog, you are helping to ease the pressure. Save a Pet - Thank goodness for the humane society, SPCA, rescue organizations and hardworking, dedicated animal shelter volunteers! Without them, there is no telling how many more dogs would die each year. Dog rescuers scan animal shelters constantly, looking for puppies of all ages whose time at the animal shelter has almost run out due to overcrowding, and giving them a second chance before they are euthanized. PETS 911 - believes that if you consolidate all the adoption, fostering, lost and found, volunteer, shelter/clinic, and health and training information out there and give the public a single and easy place to find this information, education will substantially increase and euthanasia will decrease. Hart 90 - HART is a no-kill animal rescue/support group, incorporated in 1990, that takes in and re-homes stray, abused and owner give-up dogs. Whether the animal is a give-up or a stray, HART works with local veterinarians, trainers, foster homes, and kennels to provide temporary care for an animal until it is placed in a loving, carefully-screened new home. Adopting A Dog Puppy or Adult - There is so much to do at Little Shelter. We never seem to have enough volunteers or funds to accomplish all our goals for all the wonderful animals at the shelter and the other homeless ones still "out there." We need dog lovers like you to get involved and commit your time to making a difference.